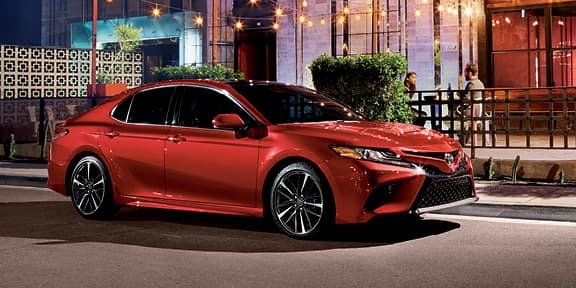 Daring yet dependable, sporty yet secure, and alluring yet aggressive – all part of the surprising new 2019 Toyota Camry. From the panoramic sunroof to the responsive 2.5-liter Dynamic Force 4-cylinder and 3.6L V-6 engines, we’ve left no detail unrefined. If that wasn’t enough, 41 MPGs and a 10 inch color Head-Up Display make this car almost too good to be true. Almost. Trim Levels: L, LE, SE, XLE, XLE V6, XSE, Hybrid LE, Hybrid SE, Hybrid XLE. Rear-seat vents and heated front seats. 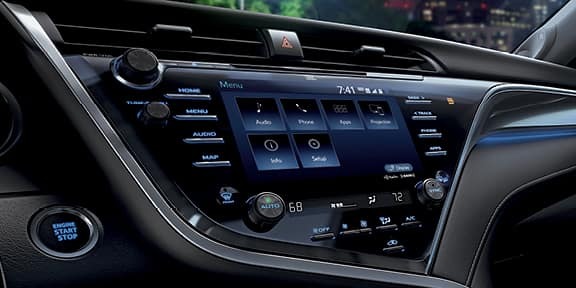 Hurry down to Universal Toyota to get a closer look at the 2019 Toyota Camry so you can discover everything this top-rated Toyota sedan has to offer. 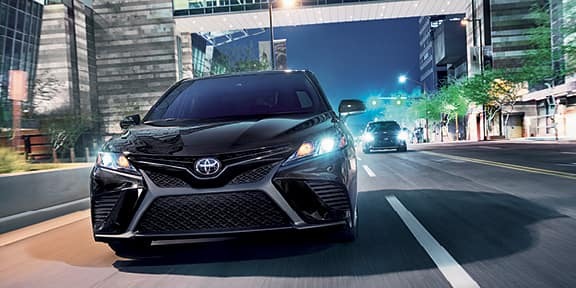 Our Toyota financing team is standing by to help you buy or lease a new Camry!